A while ago our friend Jenn started a company called Slingshot Coffee, which makes really smooth cold-brew coffee. During a holiday-schedule-induced caffeine headache I found myself in a long line at the Whole Foods coffee counter with my family waiting outside in the car, feeling frustrated and irritable as the withdrawal/crowded places combo will often bring out in me. I just happened to glance over my shoulder, and there was a bottle of cold, fresh-brewed (I know because of the date) Slingshot Coffee staring me right in the eye. 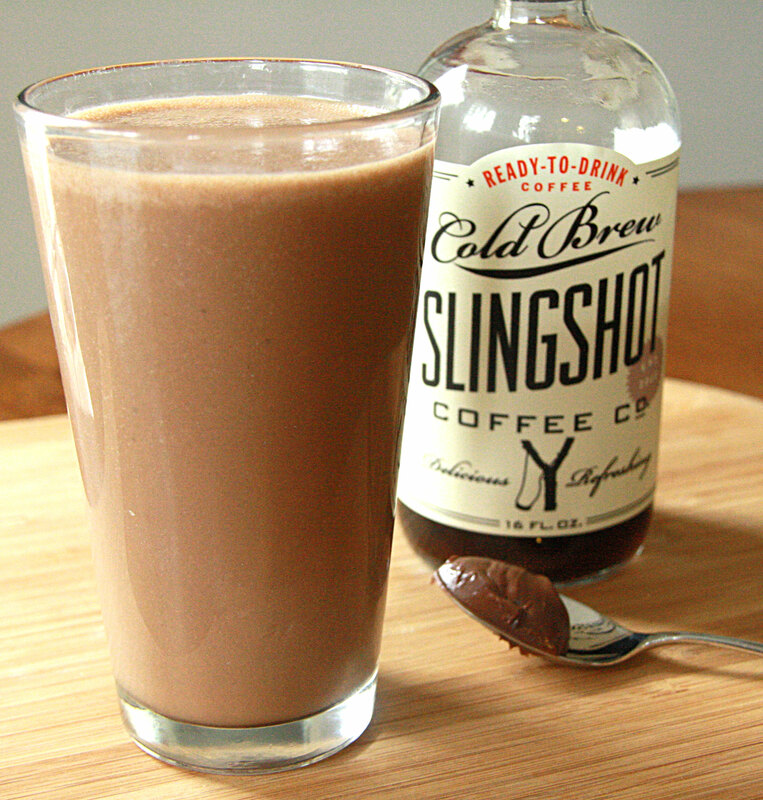 Cold brew coffee is probably the smoothest coffee you’ll ever taste, and Slingshot is especially potent so I was hesitant to drink the whole bottle on the way to the in-laws’. Because of it’s low acidity, cold brew coffee is especially good served cold, so I decided to put it in a smoothie. I’ve wanted to make some Espresso/Nutella drinks for a while, but my machine has a clog or something and it’s not doing what it’s supposed to, so I decided to throw some of my lonely jar of Nutella in there as well. Although I can’t come up with a name for it that doesn’t sound bad, I’m very pleased with the results. Add all ingredients to blender and blend until smooth. Then drink it. 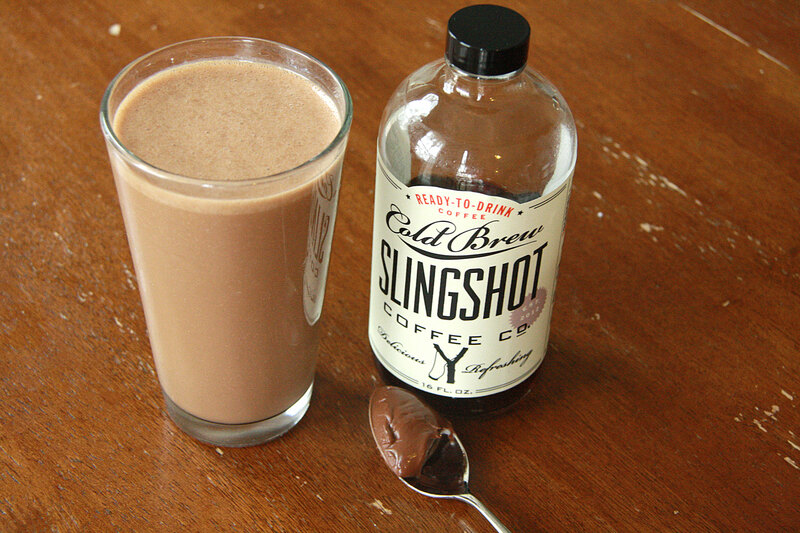 If you haven’t tried Slingshot Cold Brew Coffee you can buy it online, you won’t regret it. Im reqlly impressed by it. I am confidenjt they will be benefited from this web site. contractor. In some areas, impact-resistant materials translate to even more savings. may end up working against you. Only with a Vitamix Blender can I make excellent smoothies and hot soups. gute Beiträge von Dir. Hoffe diese Homepage gibt es noch lange! Yes! Finally someone writes about watching movies online.